When you live in our part of the country, you know that some things are worth making a drive for, like if you want to buy an outfit for a special occasion, or when your favorite band comes to Minneapolis. 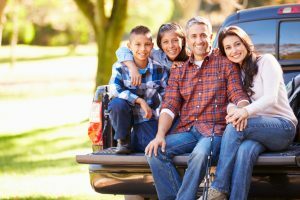 Excellent medical care is also worth getting in the car for — and if you’re looking for a dentist near Thief River Falls, MN, you don’t have to go too far. Dr. Jaclyn Jensen and Dr. Tiara Applequist are at Renu Dental in Crookston. It’s less than an hour from Thief River Falls to the very best dental care for you and the whole family! Patients of Renu Dental benefit from the full list of services we provide in our state-of-the-art office. We start with preventive dentistry, giving you a complete checkup and cleaning to help fight cavities and infection. Children, whose teeth are especially vulnerable to cavities as their permanent tooth enamel hardens, benefit from additional cavity prevention with topical fluoride treatments and dental sealants on the premolars and molars. If cavities, dental injuries, or missing teeth occur, we will put together a plan to repair and renew your smile as quickly as possible. Our services in restorative dentistry include the traditional crown and bridge, same day crowns, tooth-colored fillings, dentures and partials, and root canals. We also offer a full list of cosmetic treatments to reveal your most attractive smile. After all, even completely healthy teeth may not necessarily look their best — but treatments like porcelain veneers, direct bonding, and at-home whitening can help your smile truly sparkle. We also offer Botox for smoothing out wrinkled facial tissue to help you look more youthful and radiant. Renu Dental wouldn’t be able to provide such high-quality, efficient dentistry without making use of the latest technology. In our state-of-the-art office, patients benefit from our intraoral camera, digital x-rays, and the digital impression system. The Wand also helps us administer local anesthesia without any poking or pricking sensation, for increased comfort during restorative treatments. At Renu Dental, Dr. Jensen and Dr. Applequist strive to provide all patients with the modern, personalized dental care everyone deserves in a safe, comfortable atmosphere. Our team of doctors benefit from extensive education and experience to provide the very best dental care for our patients of all ages. We strive to treat each patient as we would a member of our family — and we will only ever recommend treatments that are in your very best interest. Visiting a bad or even average dentist can change the way you feel about your smile — but trusting an excellent dental team with your teeth and gums will help you enjoy better oral health and a more confident smile for a lifetime to come. Are you in need of superior dental care? Chances are good the answer is yes. It’s time to check out Renu Dental in Crookston! Request an appointment online today.